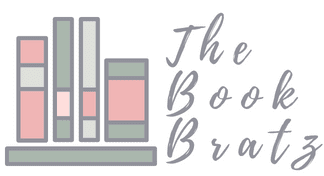 Interview & ARC Giveaway: The Leading Edge of Now by Marci Lyn Curtis! Hi everyone, and happy Monday! We have something exciting coming to you on the blog today. 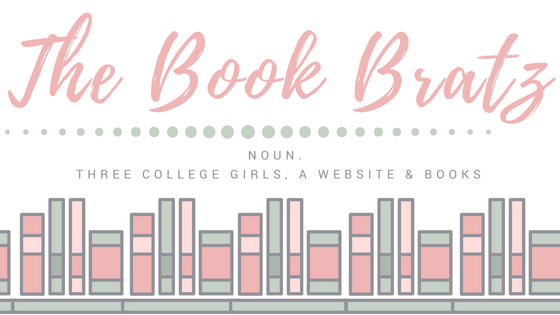 We have an author interview and an exclusive ARC giveaway of The Leading Edge of Now by Marci Lyn Curtis! So without further ado, let's get into it! 1. What gave you the inspiration to write The Leading Edge of Now? Hi guys! Thanks so much for this fabulous interview! The Leading Edge of Now came to me like all of my stories do—it just landed in my head, invaded my sleep, bothered me while I was blow-drying my hair, whispered in my ear as I was cooking dinner, until I finally broke down and wrote it. 2. What was your favorite element of the novel? The characters! While this particular story has an extremely twisty plot, it’s still very character-based. Everything I write is character-based, actually. Because for me, stories aren’t about plots as much as they’re about people -- who we are, how we cope, what we feel. 3. Which part of the book was the easiest to write? Ooooo….the pickpocket scene! Once I figured out exactly how it would go down, it was a really fun, easy scene to write. 4. Who was your favorite character to write? Why? This is a tough question, because these characters are all very dear to me. I love Grace for her strength of spirit and heart. And Owen, because GOD, HOW PERFECT IS HE? Eleanor is absolutely hysterical. And Rusty—he’s so palpable that I can almost see him ambling on up to me, cheesy cowboy hat and all. 5. What made you decide to end the book the way you did? Ah. The ending. (How did I know this question was coming?!) During revisions, my editor gave me free reign to play with the final quarter of the story, only asking that I keep it true to life and believable. I wrote it a dozen different ways before I finally settled on one particular route, which is not only true to life, but also true to the story and the title. 6. What advice can you give to anyone interested in writing YA? Just write. Write about the things that are important to you. Write to share a version of yourself with yourself. Write without thinking about trends, or about how readers might perceive you. Just write. Summary: Just when Grace is beginning to get used to being an orphan, her estranged uncle suddenly comes forward to claim her. That might have been okay if he'd spoken to her even once since her father died. Or if moving in with Uncle Rusty didn't mean returning to New Harbor. Grace once spent the best summers of her life in New Harbor. Now the place just reminds her of all she's lost: her best friend, her boyfriend and any memory of the night that changed her forever. People say the truth will set you free, but Grace isn't sure about that. Once she starts looking for it, the truth about that night is hard to find --- and what happens when her healing hurts the people she cares about the most? Marci Lyn Curtis, the critically acclaimed author of The One Thing, has crafted an honest and emotional story that will resonate with the wide range of readers impacted by sexual assault. Sexual assault does not define this story, however, just as it does not define Grace. Wry humor and true love emerge as Grace, like many in the #MeToo era, seeks to find her truth, face her truth, and speak her truth. 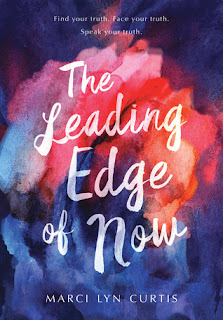 One lucky winner will receive an ARC of The Leading Edge of Now! All you have to do is complete some of the mandatory (but super easy!) steps on the Rafflecopter -- and we threw in some bonus ones in case you're looking for extra entries! Plus, the giveaway is international! 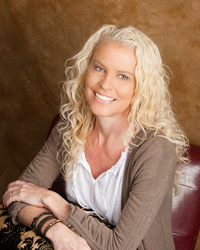 We'd like to thank author Marci Lyn Curtis for being kind and enough to sit down for this interview, as well as for co-hosting this giveaway with us! We hope that you all check out The Leading Edge of Now and love it -- Emily did and will be posting her review about it soon! The Final six by Alexandra Monir! !